Home » 20s » Different Spoon design. Various eras. Different Spoon design. Various eras. Spoon design of various eras. Spoons with plastic handle from GDR. Art Nouveau coffee house spoons. Promotional spoons. 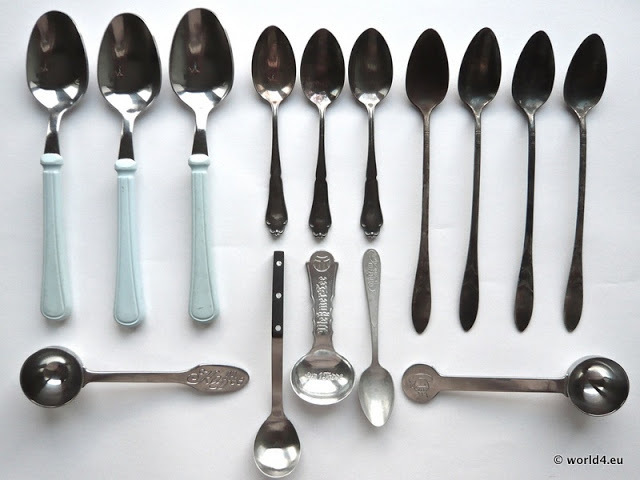 Coffee and tea portioning spoons. Next PostPromotional spoon. German Empire 1900.